Well, I'm back in the heat. It was 75 F at 6:45 am already. I miss Minnesota where it was only in the low 60s at this time. 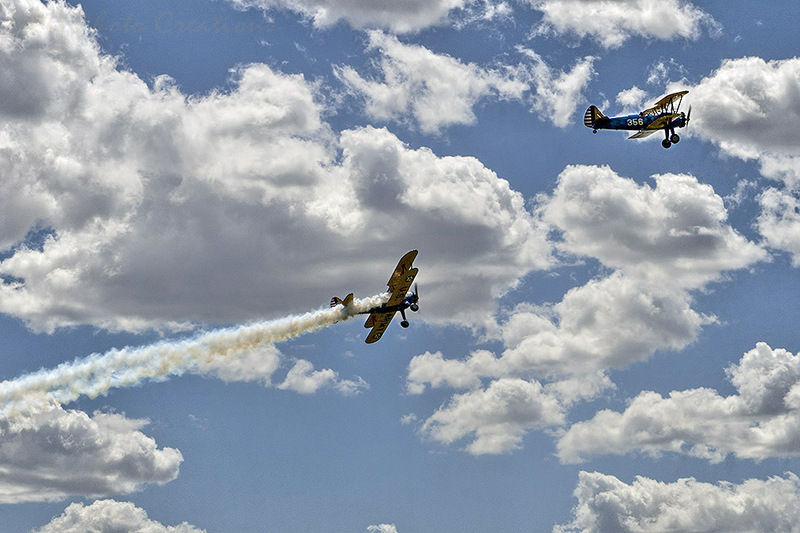 So my image today is another from the flight and smoke display at the Annual Bi-plane Fly-In a couple weekends ago. It was really fun to watch them buzz the field and put out the smoke trails.